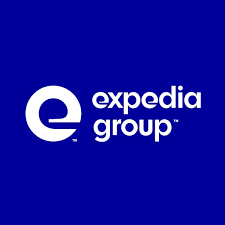 Expedia Group Inc (NASDAQ: EXPE) stock surged over 3.9% on Feb 8th, 2019 (as of 10:25 am GMT-5; Source: Google finance) after the company reported fourth-quarter results that mostly beat expectations. Gross bookings reached $21.9 million, compared with expectations around $21.8 million, according to FactSet. EXPE ended 2018 with free cash flow of $1.10 billion, from $1.14 billion a year ago. For 2018, full-year gross bookings grew 13%, reaching nearly $100 billion. The company has increased stayed room nights 13% and revenue was up 12%. Further, the growth of Expedia’s home rental service slowed. In the fourth quarter, revenue from HomeAway rose 20 percent, the slowest rate of the year. Gross bookings at HomeAway rose 15 percent versus a year earlier. That was down from 47 percent growth in the fourth quarter of 2017. In 2015, Expedia spent $3.9 billion buying HomeAway to compete with rival Airbnb Inc. Meanwhile, Expedia is also taking steps to simplify the company’s complex ownership structure and boost its valuation. Last week, the company offered to acquire Liberty Expedia in a stock swap, streamlining Expedia’s super-voting structure that’s long been divided between two 77-year-old billionaire media moguls: John Malone and Barry Diller. The deal is still under discussion. Additionally, Airline revenue rose 18 percent, as Expedia sold more tickets and at higher average prices. Expedia said that United Airlines is threatening to pull flight information from its sites after a breakdown in talks over a new contract. Expedia sued United and asked a federal judge to block the airline from cutting Expedia’s access to information about seats and fares. The companies’ current contract expires this fall. In a heavily redacted complaint, Expedia said it would lose customers for years if United carried through on its threat. EXPE in the fourth quarter of FY 18 has reported the adjusted earnings per share of $1.24, beating the analysts’ estimates for the adjusted earnings per share of $1.08. The company had reported the adjusted revenue growth of 10 percent to $2.6 billion in the fourth quarter of FY 18, beating the analysts’ estimates for revenue of $2.5 billion. For the fourth quarter, gross bookings were 11% and adjusted EBITDA 17%. Total lodging revenue grew 10% on stayed room night growth of 11%. Across the Core OTA segment, growth in both lodging revenue and stayed room nights were essentially in line with Q3. Total advertising and media revenue increased by 9% for the quarter. The Media Solutions business continued to perform well, growing 28% in Q4, partially offset by declines at trivago.